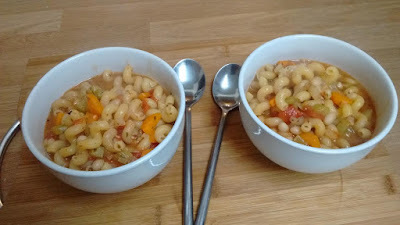 Pasta e fagioli is a traditional Italian soup meaning pasta and beans. So it comes as no surprise what some of the ingredients are for this one. 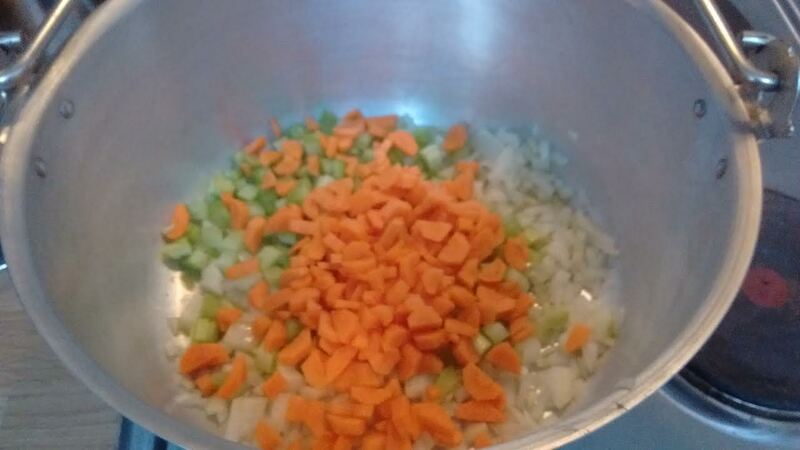 It's another cheaply made soup that was popular with Italian peasants. We could be today's equivilent of peasants since we love a nice cheap meal. Chop up the onions, carrots and celery and saute them in the olive oil. When they have started to soften add the Italian seasoning, minced garlic and chilli flakes. Saute for another minute. Now add the stock, tomatoes and pasta. 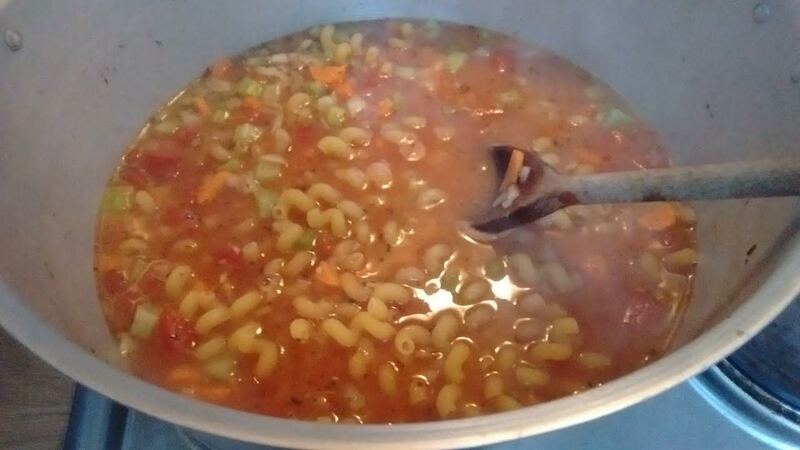 Stir well and simmer for 20 minutes until the pasta is almost cooked. 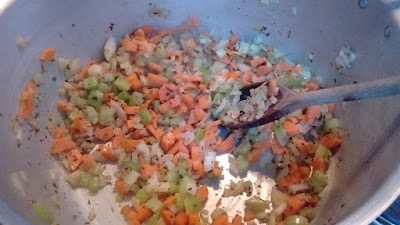 Lastly add the beans and chopped parsley. Cook for another 2-3 minutes and then serve. 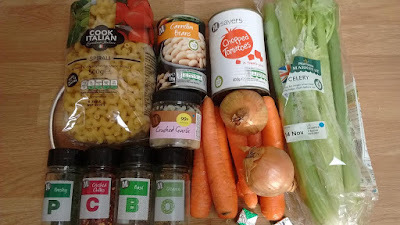 This was a lovely hearty, warming soup. The stock and tomatoes had reduced down into a really tasty broth. Unfortunately I added 1 teaspoon of chilli flakes instead of 1/4 teaspoon so our soup was a bit too warming. Oops! We remedied this by adding a bit of cream to cool it down. It's just what you need on a cold November day with the Christmas expense on your mind. 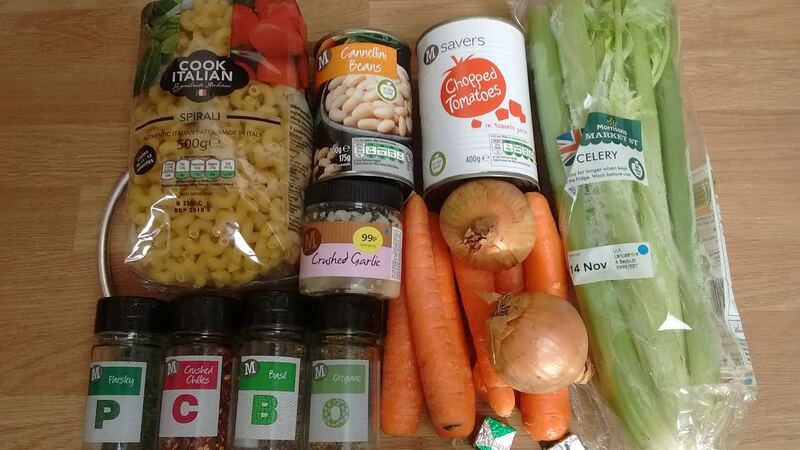 A cheap but filling and warming soup to tuck into. Perfect!